Trademarks serve the dual purpose of securing to the proprietor the benefits of a good reputation, which in turn help foster competition and innovation, while conveying product and proprietor information to the consumer. A trademark represents facets of a business's goodwill, symbolising inter alia a consistent quality and a reputation for service, and this goodwill forms the primary basis for consumer choice among competing brands. What is protected under trademark law is not the mark itself but what the mark symbolises, namely, a firm's goodwill. 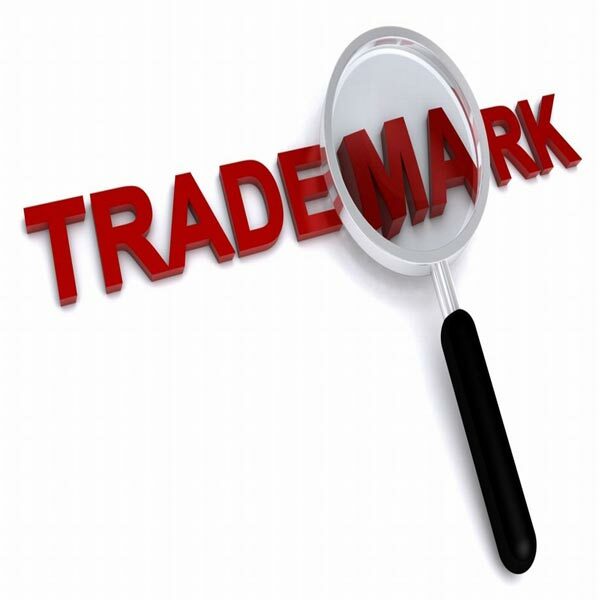 A trademark is a distinguishing mark allowing a firm with a good reputation to intimate to consumers that a certain goods belongs to them, and trademark law seeks to prevent other firms from imitating this mark and trading on another firm's reputation. A trademark's legal existence is inextricably entwined with the goodwill it symbolizes. A trademark confers no monopoly whatever in a proper sense but is merely a convenient means for facilitating the protection of one's goodwill in trade by placing a distinguishing mark or symbol, a commercial signature, upon the merchandise or the package in which it is sold. The principles of trans-border reputation are well recognised and it is not intend to make a catalogue of various judgments dealing with trans-border reputation. Before the era of the internet, the judgments were to the effect that where a product is sold in India and sales figures coupled with money spent on advertisements show acceptability of the product in the market, this would be good evidence of the product having acquired a reputation through its trademark. Concerning trans-border reputation, the judgments were to the effect that if the product is not sold in India but information relatable thereto is available in the print media and especially magazines purchased by consumers having an interest in the particular category of goods, it would be good evidence of trans-border reputation having entered in the municipal jurisdiction of India. Post-internet era the law of trans-border reputation expanded because the internet virtually broke the domestic walls in areas of trade and business. On the internet, through search engines one can access information put on the website, be it by the manufacturer of the goods or in e-journals and e-magazines. Acquiring trans-border reputation is essentially a question of fact and it requires the evidence to be considered. The word Prius is a Latin word and means “coming before”. The dictionary meaning shows that if not earlier, at least in the year 1989 the word had found acceptability in the English language and was entered in the dictionary with the meaning “prior”, “former” and “earlier”. Documentary evidence also shows the word as a source indicator of a hybrid motor vehicle would be irrelevant to determine the fact, whether the trademark Prius had acquired a global reputation which had permeated into the territory of India, for the reason the plaintiff's two exhibits do not show the year of the publication of Encyclopaedia Britannica from which the two pages have been downloaded. The court takes judicial notice of the fact that in the late 1970s, concerns by environmentalists of global warming had started ringing the warning bells. By this time, fuel consumption globally had arisen drastically, and how to control carbon, had become a matter of concern. With the advancement of technology, new and better machines which were energy efficient had started entering the market by mid 1980s. That fossil fuels emit carbon dioxide which is a greenhouse gas is well-known. Since motor vehicles, apart from electricity generating plants, consume a lot of fossil fuels, environmental concerns were felt in the industry and an endeavour was made to develop technology where motor vehicles could be run without a fossil fuel as the source of energy i.e. electrical cars or fuel efficient hybrid cars, where the idle power generated by the engine while running on fuel would be stored in a battery and the electric energy stored would be used at some point of time when the vehicle plied. Appellants do not refute that in the year 1997, Toyota marketed the first hybrid car under the trademark Prius. That the launching of the car was widely reported in the press is established by production of several magazines and journals published in 1997 to 2000. It is not relevant that many of the articles and publications have not been proved to be available in India, because at base is the limited issue under discussion, whether the launching of the car was widely reported in the press. These articles and publications, six of which are in India, establish that even the media in India widely reported about a hybrid car by the name of Prius being sold in the Japanese market in the year 1997. The suit was filed by Toyota in the year 2009 and it would be very difficult to lay ones hand on all newspapers and journals which reported the event in the year 1997. With passage of time, it becomes difficult to secure evidence. But the exhibits referred to above, are proof of the hybrid car launch being discussed in the print media. It becomes irrelevant whether the newspapers, weeklies, by-weeklies or monthly magazines published abroad, which have been exhibited were or were not available in India. These publications are relevant to prove the event being reported in the press world over. The weight of the evidence led by Toyota is that it has simply established that when it launched the hybrid car Prius in the market in Japan in 1997, the event was reported as a news item in different countries including India but not with such prominence that the public at large became aware of the same. The law on trans-border reputation requires two facts to be established. The first is reputation in foreign jurisdictions of the trademark. The second is knowledge of the trademark due to its reputation abroad in a domestic jurisdiction. The reason being, a trademark is territorial in its operation. If its reputation spills over beyond the territories of its operation, the benefit can be claimed in an action of passing off. The corollary of the finding that newspaper reporting of the event of Prius car launched in Japan in the year 1997, and further sales in the year 1998 and 1999 being not with much prominence would be that the knowledge would be limited to the class of persons associated with the trade in automobiles. The trademark has to build a reputation in the form of public confidence in the goods and the association of the mark with the source of the goods. Toyota has led no evidence of money spent in advertisements in India of the Prius car before it was sold for the first time in India in the year 2010. By the year 2000, only 52200 motor vehicles under the trademark Prius had been sold globally and there is evidence of re-call of the cars in the years 2009 and 2010. Albeit post-2001, said evidence would be proof that Prius cars were having problems and one can infer public confidence in the car not rooted firmly. If not shaky, the confidence would be of a wavering kind. Notwithstanding of little weightage, said evidence has to be put in the scale of evidence while deciding on the issue of reputation. No sales being made in India. There being no advertisements published by Toyota for its car Prius in India, and coupled with the fact that not all cars marketed under different trademarks by Toyota acquire a global reputation and much less in India, internet penetration as of the year 2001, being low in India, the weight of the evidence leans in favour of the view that by April 2001 Toyota had not established a global reputation in its trademark Prius which had entered India. The appellants had been selling auto parts under the trademark Prius since April 2001, and till December 2009 when the suit was filed there was a constant rise in the sales figures which by December 2009 would be around Rs 4.5 crores for the period 2006 till December 2009. The auto parts were packed in cartons bearing the trademark Prius, and in conformity with Section 30(2)(d) of the Trade Marks Act, 1999, they were entitled to inform the consumer that the auto part was adapted for use in a particular brand of Toyota car. They indicated the same by using the word Toyota and Innova in the packaging material, not as a trademark but because of it being reasonably necessary to indicate that the goods so adapted are compatible for the Toyota motor vehicles. The only fault found by the Division Bench of the court, was the manner in which this was indicated and it is the case of the appellants that they have complied with the Order dated 10-8-2010, passed by the Division Bench, which has been transposed in the impugned judgment while passing a decree for injunction with a condition imposed; the condition being by way of permitting the use of the words Toyota and Innova in the packaging material in terms of the judgment of the Division Bench. It is possible that manner of representation to write that the goods are compatible may appear to one as a trademark use and to another as a non-trade mark use. This would not be evidence of dishonesty. That apart, this line of reasoning adopted by Toyota is an ancillary line of reasoning and not the main plank. It is intended to support the main plea of dishonesty in adoption sought to be proved through trans-border reputation and lack of credibility in the justification given by the appellants as to how defendants 1 and 2 adopted the trademark Prius motivated by the words ‘Pehla Prayas’. Nothing turns on the fact that the nature of goods is the same, the class of buyers is the same and the trade channel is the same for the reason that appellants are the registered proprietors of the trademark Prius in India. Registration was obtained by them in the year 2001. The registration subsists. Rectification proceedings are still pending. Toyota has failed to establish trans-border reputation of its trade mark Prius in India when appellants adopted the same. The court has found credibility in the justification given by the appellants as to how they adopted the word Prius which waspublici juris in the year 2001. A mental condition of a person is a fact defined under the Evidence Act, 1872. Knowledge claimed by a person or attributed to a person would be a matter of fact. The claim by defendant 1 when he appeared as DW-1 that he and defendant 2 acquired knowledge of the word Prius by consulting the dictionary is probable and possible for the reason there is irrefutable evidence that if not earlier, at least by the year 1989 the word Prius had entered the dictionary. The court takes judicial, notice of the fact that that before a non-English word enters the English dictionary it comes into popular use by English speaking people. The word Prius must have come into use by English speaking people much prior to the year 1989. The appellants have explained how they discovered the word “Prius”. Their explanation is that they were the first in India to manufacture add-on chrome plated accessories”, and they first conceptualised this attempt as “Prayas” (attempt). They being the pioneer in the field of manufacture of add-on chrome plated accessories, the defendants were looking for a word which could properly and exactly describe their first attempt or “Pehla Prayas” (first attempt). The defendants after doing research found one word in the dictionary “PRIUS” meaning “to come first” which was not only attractive but also exactly and properly described the pioneer efforts of the defendants in the field of add-on chrome plated accessories. The justification is logical. Thinking in one's mother tongue, a first pioneering venture by a person would obviously be thought of as “Pehla Prayas”, meaning first attempt. The attempt pleaded is to manufacture add-on chrome plated accessories. The justification in the written statement is, not that it was the first (“Pehla”) business venture of the appellants. The justification given is that the appellants were the first in India to manufacture add-on chrome plated accessories. The Hindi word ‘Pehla’ was used in the context of the first manufacturer and not the first business venture. The Hindi word ‘Prayas’ was used as an attempt in the context of the manufacture and not the business venture. If a word is publici juris and a person gives good justification as to how he appropriated a word as a trademark, relating to the state of mind of the person, unless the testimony of the person is discredited, a Court would have no option but to accept the statement made on oath because the fact is of a kind which a person can prove by stating the truthfulness thereof on oath. And if, as in the instant case, there is proof that the word was publici juris it lends assurance to the claim. Understanding the logic of the claim of the appellants would be essential for if a blemish is found in the logic it would tilt the scale against the appellants and in favour of Toyota. The straight line logical reasoning is that defendants 1 and 2 wanted to set up a manufacturing unit to produce add-on chrome plated accessories, this technology was being used in India for the first time (as per their belief), therefore “Pehla”. It was an attempt (“Prayas”). The concept ‘Pehla Prayas’. The concept became the motivation to find a catchy word in the English language. The English equivalent of Hindi word ‘Pehla’ is ‘First’. Pick up the dictionary and see the meaning of the word ‘First’. One reaches the word ‘Prior’. Look at synonyms of the word ‘Prior’. One reaches the word ‘Prius’. There is no blemish in the logic of the search and the reasoning. It is probable and likely. The court finds no reason to disbelieve the version made good by the testimony of defendant 1. The appeal is allowed with respect to the limited issues which were argued, concerning the trademark Prius and The impugned decree is partly set aside but limited to the injunction issued relating to the trademark Prius. Since the appellants did not challenge the injunction order, which is based on condition concerning the trademark Toyota, the Toyota device and the trademark Innova, said part of the injunction granted is retained. Mandatory injunction is set aside. The appeal would now be listed for arguments on the issue of damages (which would now become an academic issue unless the present decision is set aside by the Supreme Court or is recalled in review). Cross-Appeal filed by Toyota seeking enhancement of damages is listed on 12-1-2017, and it is directed that this appeal may also be listed on 12-1-2017 along with Toyota's case. If it is proved by the plaintiff that its trademark was well known in the market, the court would assume that those in the trade were aware of the same and any adoption of the trademark would obviously be dishonest. What is dishonest can never be honest. Issues of trans-border reputation or likelihood of confusion decided in various cases cited before the court, and even in cases not cited arose before the court, either in quia timet actions or when the defendants had just entered the market. At that point of time, the issue could be decided on the test of likelihood of confusion, and most of the judgments are dealing with the issue at the stage of injunction where documents filed by the parties had yet to translate into evidence and witnesses were yet to be examined. In such situation, the only way in which the issue of an injunction pending adjudication in the suit can be decided is on the touchstone of likelihood of confusion. But in a case of the kind at hand where the appellants had been selling the goods under the offending trademark for nearly ten years when the suit for injunction was filed, there must be evidence of actual confusion. Toyota is a big company. It has had a presence in India for over two decades when the suit was filed. It was well entrenched in the Indian market in the year 2001. No consumer of Toyota car or buyer of an auto part sold by Toyota was ever confused by the appellants selling their products under the trademark Prius, for if this was so, in ten years somebody would have complained to Toyota or at least would have made known said fact to Toyota. May be of little weightage, is a publication published in the year 2004 titled Auto Car in which advertisements of Toyota and that of the appellants have been published, and the publicity department of Toyota which had got the publication of the advertisements done would have received a copy of the publication and would have known that under the trademark Prius the appellants are selling auto parts. The evidentiary worth would be that probably the employees of Toyota in India were themselves not aware of Toyota selling a hybrid car by the name Prius. Pradeep Nandrajog, J.:— As recorded in the order dated December 16, 2016, the present decision decides limited issue concerning the impugned judgment and decree dated July 08, 2016. Leaving open the issue of damages awarded against the appellants and in favour of the respondents, as was agreed when order dated December 16, 2016 was passed, the legality of the impugned decree concerning permanent injunction against the appellants pertaining to the trade mark Prius is being decided by this order. 2. Toyota Jidosha Kabushiki Kaisha (hereinafter referred to as Toyota) instituted a suit, impleading Deepak Mangal and Sandeep Verma as defendants No. 1 and 2, pleading that they are the partners of the firm M/s Prius Auto Industries, impleaded as defendant No. 3. M/s Prius Auto Accessories Pvt. Ltd. was impleaded as defendant No. 4. It was pleaded that defendant No. 4 was carrying on business along with defendants No. 1 to 3 as a sister concern of defendant No. 3. 3. It was pleaded that Toyota is an internationally known company, in the trade of manufacture and sale of motor vehicles. That Toyota is the registered proprietor of the trade mark TOYOTA in countries abroad and even in India pertaining to goods in Class 1 to 5, 7 to 12, 15, 17 to 20, 27, 36, 37 and 39. That it is also the registered proprietor of the trade mark Toyota Innova in jurisdictions abroad and in India. That it is the registered proprietor of the Toyota device mark. That Toyota has global sales of over US$ 220 billion and the range of vehicles in the Toyota stable includes models such as COROLLA, CAMERY, INNOVA, ALTIS, FORTUNER, LAND CRUSER, PARADO, YARIS, HIGHLANDER, VENZA and PRIUS. 5. As regards India, case pleaded was that its application No. 1891316 seeking registration of the trade mark Prius for automobiles in Class 12 is currently pending consideration before the Registrar of Trade marks. The application was filed on December 03, 2009. 6. Concerning sale of the hybrid car under the trade mark Prius, it was pleaded that the car has been sold in at least forty countries abroad. Till the year 2009, 1.2 million cars under the trade mark Prius were sold. Sales figures upto the year 2008 were disclosed: (i) 1997 - 300 units, (ii) 1998 - 17700 units, (iii) 1999 - 15200 units, (iv) 2000 - 19000 units, (v) 2001 - 29500 units, (vi) 2002 - 28100 units, (vii) 2003 - 43200 units, (viii) 2004 - 125700 units, (ix) 2005 - 175200 units, (x) 2006 - 185600 units, (xi) 2007 - 281300 units and (xii) 2008 - 285600 units. 7. Pleading infrigement of its trade marks TOYOTA, INNOVA and Toyota device (as a matter of fact it being a logo) and passing off of the trade mark PRIUS by the appellants, Toyota pleaded that in October 2009 it learnt that defendant No. 3 had obtained registration of the trade mark Prius for goods in Class 12 i.e. auto parts and accessories. It was pleaded that Toyota learnt that appellants were selling auto parts meant for use in different brands of automobiles manufactured and sold by Toyota and were marketing the spare parts using the registered trade marks of Toyota. Injunction prayed for was to restrain the appellants from manufacturing or selling auto parts using identical or deceptively similar trade marks as that of Toyota i.e. Prius, Toyota, Innova and Toyota device. Damages were prayed for. 8. Defendants No. 1 to 3 filed a common written statement and defendant No. 4 filed a separate written statement. The proprietary interest of Toyota in the trade mark Toyota and Innova as also Toyota device was not questioned. Admitting using the words Toyota and Innova on the packaging material in which auto parts were packed, defendants No. 1 to 3 pleaded that the use was not as a trade mark, but to make it known to the consumers that a particular automobile part was suitable for a particular brand of motor vehicle manufactured and sold by Toyota. Concerning the trade mark Prius, appellants pleaded that defendant No. 3 was constituted by defendants No. 1 and 2 as a partnership firm vide a deed of partnership dated April 01, 2001 and had obtained sales tax registration in the same year. That Prius, being a word in the dictionary, which means prior in use, was the motivation to adopt the word Prius as a trade mark. That defendant No. 3 commenced business of manufacture and sale of auto parts in 2001 and obtained registration of the trade mark Prius on March 30, 2002 with user since July 01, 2001. It was pleaded that trans-border reputation by Toyota had to be established as of the year 2001, when defendants No. 1 to 3, not only used Prius as part of the name of the partnership firm but also as a trade mark. That as of the year 2000, as per Toyota's own documents only 52,200 Prius vehicles were sold globally till then. That Toyota having taken no steps till when the suit was filed in the year 2009 to question use of the trade mark Prius, Toyota would be deemed to have either waived or acquiesced in its rights, if any. That knowledge could be attributed to Toyota, with reference to a magazine ‘Auto Car’ published in January 2004, in which advertisement by Toyota of its products and an advertisement of the products of defendant No. 3 were published, from which it could be inferred that Toyota had knowledge of sale by defendants No. 1 to 3 of auto parts under the trade mark Prius. It was pleaded that defendant No. 4 was incorporated in the year 2006 and commenced business in the said year. It was pleaded that auto parts manufactured by defendant No. 4 are directly sold to manufacturers, such as Hyundai, General Motors and Mahindra & Mahindra, with no supply of spare parts in the open market. Defendant No. 4 denied using the trade mark Toyota, Innova, or the Toyota device. It was pleaded by defendant No. 4 that commencing business in the year 2006 it sold auto parts in sum of Rs. 48,67,123.43 for the year ending March 31, 2007. Rs. 65,42,898.68 for the year ending March 31, 2008. Rs. 93,87,382.50 for the year ending March 31, 2009 and in sum of Rs. 1,20,45,450/- for the period April 01, 2009 till December 25, 2009, and this was proof of the reputation acquired by the appellants for their goods sold under the trade mark Prius. That Toyota allowed appellants to invest their labour and money over the years and after they had built a reputation in the trade mark Prius, the suit was filed to strangulate the appellants who were not only using the word Prius as a part of the name of defendant No. 3 and 4 but also as a trade mark. “a) The defendants were restricted from using the trade mark TOYOTA and INNOVA, except for the purpose of identifying that their product can be used in cars. (i) The defendants were required to ensure that TOYOTA and INNOVA were not written in the same font as written by the plaintiff and the logos of the plaintiff, i.e. was also prohibited from being used. (ii) The defendants were directed to replace the term “Genuine Accessories” with “Genuine Accessories of PRIUS Auto Industries Limited”. 10. Pertaining to the use of the words Toyota, Innova and the logo; the defence was obviously predicated under Section 30(2)(d) of the Trade Marks Act, 1999. Since the appellants stated that they had changed the trade dress to conform to the direction contained in the order dated August 10, 2010 passed by the Division Bench in FAO(OS) 248/2010, while deciding the suit the learned Single Judge has rested the decision restraining appellants from selling auto parts under the trade mark Toyota, Innova and Toyota device except as permitted by the Division Bench. 11. Regarding this aspect of the impugned decree, the appellants have raised no grievance, conceding to the point that as per law, Section 30(2)(d) permits use of a trade mark by a person in relation to goods adapted to form part of or to be accessories provided this is reasonably necessary in order to indicate that the goods so adapted are compatible with the goods sold under the trade mark. As per the appellants, after the Division Bench order was passed they were strictly complying with the terms thereof. 12. Sh. Pravin Anand, learned counsel for the respondents had raised a grievance on this aspect, and as recorded in the order dated November 28, 2016 passed in the instant appeal, had produced three cartons marked C, D and E and two invoices marked A and B, to bring home the point that the appellants were surreptitiously selling auto parts in violation of the interim order passed by the Division Bench and as transposed in the impugned decree. Two invoices, one pertaining to an illegal transaction and the other for a legal transaction were produced. Needless to state, learned counsel for the appellants denied any illegal sale. Concerning the cartons, learned counsel for Toyota urged that product identification statement concerning a motor vehicle Qualis and identification statement for Innova were missing, a fact denied by the appellants. 13. We are not inclined to decide this issue raised by the learned counsel for Toyota because it would relate to violation of the impugned decree granting injunction, to which the appellants have acquiesced and therefore would require evidence to be led and must consequently be a substantive action, to be initiated by Toyota against the appellants for violating the decree for injunction granted which permits use of the words Toyota and Innova but as permissible by the Division Bench and as transposed in the decree. 14. We therefore concentrate on the main issue which was argued in the appeal. Whether the learned Single Judge has correctly returned a finding that Toyota has established trans-border reputation for the trade mark Prius in India and merely because the suit was instituted in the year 2009, use by the appellants of the trade mark Prius relating back to the year 2001, would not entitle the appellants to succeed on the plea of waiver, estopple, delay and laches. 15. In holding in favour of Toyota, the learned Single Judge has tabulated documents Ex.PW-1/4, Ex.PW-1/5, Ex.PW-1/6, Ex.PW-1/7, Ex.PW-1/26 and Ex.PW-1/6 to return a finding that so wide ranging was the information made available globally through the print media that it must be held that trans-border reputation in India had permeated. With reference to the word Prius being of Latin origin, laying emphasis on the fact that defendants No. 1 and 2 and the father of defendant no. 2 were in automobile trade, they would have known Toyota launching a hybrid car under the trade mark Prius in the year 1997, and therefore adoption of said trade mark would be dishonest from the inception is the finding returned. The learned Single Judge has also referred to certain answers given by the witnesses of the appellants to hold that the plea of bona-fide honesty in adopting the trade mark Prius is belied therefrom. Thus delay, estoppel and acquiescence would not be relevant. 16. We propose to note the arguments of learned counsel for the parties with reference to the evidence led because voluminous evidence spanning nearly 4000 pages has been led and during arguments in appeal reference was not made to all. 17. Sh. Sandeep Sethi and Ms. Pratibha M. Singh, learned Senior Counsel for the appellants argued that the contention by Toyota of Prius being a strong trade mark because it has no obvious meaning to an ordinary person and is not an apt description for automobiles, was neither here nor there, for the reason notwithstanding Ex.PW-1/22 proved by Toyota (being a printout from Encyclopaedia Britannica) showing that the word is of Latin origin and that Toyota introduced an automobile in the Japanese market by the name Prius and Ex.PW-1/24 (being an extract from Wikipedia uploaded in the year 2004), evincing that a hit on Wikipedia of the word Prius links the user to the Prius car, ‘The Oxford English Dictionary, Second Edition, Volume-XII’, published in the year 1989, had listed the word ‘Prius’ to mean ‘prior’, ‘former’ and ‘earlier’. How defendants No. 1 and 2 adopted Prius as a trade mark was well explained by defendant No. 1, who appeared as DW-1. Learned counsel urged that the explanation given that since defendants No. 1 and 2 were introducing in India for the first time chrome plated motor parts the Hindi word ‘Pehla Prayas’ would naturally come to their mind. A trade mark has to be catchy. This is the reason why they looked for a catchy word which would also be associated with the concept of a first attempt. They consulted dictionaries and chanced upon the word prius. This became the setting of the argument that the reason given and the word being publici juris in the year 2001 is sufficient proof that the word was honestly adopted for the goods as also as a part of the trading name of the partnership firm constituted by defendants No. 1 and 2. To counter the argument of Toyota, that sale of the motor vehicle Prius by Toyota in the year 1997 became a global event and travelled as news, the learned Senior Counsel urged that publications in journals and newspapers up to April 2001 alone were relevant because it was in said month and year that defendants No. 1 and 2 constituted the partnership firm M/s Prius Auto Industries and adopted the trade mark Prius, proved through the deed of partnership Ex.DW-1/2, Sales Tax Registration obtained vide Ex.DW-1/7 and registration of the trade mark Prius as per Ex.DW-1/3 and Ex.DW-1/5. Learned Senior Counsel urged that the only documents proved by Toyota till said point of time are Ex.PW-1/23, Ex.PW-2/16, Ex.PW-1/29 and Ex.PW-1/51. It was pointed out that Ex.PW-1/23 is a printout from Encyclopedia Britannica which is undated. Ex.PW-2/16 is a publication of the year 2004. Ex.PW-1/29 is a translation of a book titled ‘Kakushin Toyota Jidhosha’ published in Japan without proof of its circulation in India. Ex.PW-1/51, albeit published in the year 1998, is an in house publication of Toyota and there is no proof of its wide availability in India. Learned Senior Counsel urged that from these documents trans-border reputation having permeated into India could not be inferred. With reference to Ex.PW-1/51, learned Senior Counsel pointed out that in the in house publication, Toyota had mentioned a range of cars sold in the market by it as of the year 1997. Apart from listing Prius, cars such as Spicio, Hiace Regius, Raum, Aristo and Harrier were listed. Learned Senior Counsel quizzed:Whether this Court has heard about these cars? Giving the answer themselves learned Senior Counsel urged that probably nobody in India would have heard about these cars because they were not introduced in the market in India. The logic of the argument was that not all motor vehicles sold in different jurisdictions abroad under different trade marks become known in India and therefore there is no trans-border reputation in India of motor vehicles sold in foreign jurisdictions by Toyota. The criticism of the impugned decree was with reference to the fact that the learned Single Judge has noted publications post-April 2001 to hold in favour of Toyota. With reference to other documents by which Toyota intended to prove trans-border reputation, being: document ‘Mark C’ which is a compendium of awards received by Toyota, Ex.PW-2/10, Ex.PW-2/11, Ex.PW-2/12, Ex.PW-2/17, Ex.PW-2/18, Ex.DW-1/A, Ex.DW-1/B, Ex.DW-1/P7, Ex.DW-1/P8 and Ex.PW-1/49 (collectively), learned Senior Counsel urged that the document ‘Mark C’, apart from not being proved, comprises international awards and does not include any award in India and only three awards relate to the period prior to the year 2001. Ex.PW-2/10 and Ex.PW-2/18 are articles available on the internet published in the year 2000, when as per learned Senior Counsel for the appellants there was very low penetration of the internet in India. Ex.PW-2/11 is an article dated March 27, 1997 published in the Economic Times and makes no reference to Prius. Ex.PW-2/12 is an article published in the Economic Times on December 15, 1997 and makes a reference to Prius. Learned counsel urged that this is the only relevant document concerning trans-border reputation and a solitary news article would be insufficient evidence to establish trans-border reputation. Ex.PW-2/17 is an article published in September, 2002 in ‘The Hindu’ and as per learned counsel has to be ignored, being post April, 2001. Ex.DW-1/A and Ex.DW-1/B were urged to be not proved documents because DW-1 was confronted with the same and he did not admit them. Secondly, a photocopy of some printed material comprises the documents. The full magazine or newspaper were not produced. Ex.DW-1/P7 and Ex.DW-1/P8 are the issues of the magazine National Geographic published in April, 2000 and July, 2002, but with no evidence of extent of circulation in India at the relevant time. The second being irrelevant due to the month of its publication being after April, 2001. Ex.PW-1/49 collectively comprises articles on the internet of various dates in The Telegraph, the New York Times and the Washington Post. Apart from the argument that during these years when these articles were put on the net by the publishers there was low internet penetration in India, the additional argument was that there was no evidence as to how many people in India accessed the websites in question when the articles were uploaded. Three reasons in support of the case of Toyota as argued by Toyota and found to be in Toyota's favour by the learned Single Judge were attacked by the learned Senior Counsel. The three reasons are: (i) The family of defendant No. 2 was in the trade of auto parts for ten years as of the year 2001. Therefore, within the family, knowledge of Prius car sold in Japan in the year 1997 for the first time and further sales globally in the years 1998, 1999 and 2000 would be known to defendants No. 1 and 2. (ii) Through the partnership firm and the company incorporated by them, defendants No. 1 and 2 have acted dishonestly by copying the trade mark Toyota, Toyota Innova and the Toyota logo, and this would be proof of their intention to dishonestly appropriate trade marks of Toyota. (iii) The appellants have displayed on their brochures trade marks of other well-reputed companies manufacturing and selling motor vehicles such as General Motors, Hyundai Motors and Mahindra & Mahindra which would also be proof of the dishonesty of defendants No. 1 and 2. Conceding to the point that defendant No. 1, who appeared as DW-1, admitted the fact that father of defendant No. 2 was in the automobile business for at least ten years, when defendant No. 1 and 2 formed the partnership firm defendant No. 3 in April 2001. Additionally that he had rendered financial help when the partnership firm was constituted. Further, that defendants No. 1 and 2 had also taken his advice on matters concerning auto parts, learned counsel urged that in the cultural ethos in India this happens and therefrom it can neither be inferred that father of defendant No. 2 knew about the motor vehicle Prius being sold abroad or gave said information to defendants No. 1 and 2. Refuting the allegation that the testimony of DW-1 (defendant No. 1) as to how defendants No. 1 and 2 adopted the trade mark Prius demolished the claim of honesty, in respect of which the learned Single Judge has made a reference to answers given by DW-1 during cross-examination, learned counsel argued that the reasons pleaded in para 15 of the written statement, made good in evidence, with reference to the facts deposed in paragraph 3 of the affidavit by way of examination-in-chief of DW-1 were not inconsistent with the answers given to the questions being questions 117-122 during cross-examination. Admitting that the brochure Ex.DW-1/P1 was published by Prius Auto Industries, learned Senior Counsel admitted to the fact that the mention therein that Prius was established in the year 1998 is incorrect. Learned Senior Counsel said that the statement appears to be an overkill, but hastened to add that the mistake is trivial. Since the point argued against the appellants was that they had brazenly displayed, not only the logos but even the trade marks of Hyundai Motors, Mahindra & Mahindra and General Motors, learned Senior Counsel argued that Ex.DW-1/P1 merely indicated that the said three companies were the valued customers of the appellants, and with reference to purchase orders collectively exhibited as DW-1/14, learned Senior Counsel urged that it proved that the three companies were purchasing auto accessories from the appellants. Learned Senior Counsel highlighted that there was no evidence that said three companies ever complained and therefore Toyota could not make an issue out of said fact. Pertaining to the use of the trade mark Toyota, Toyota Innova and the Toyota logo on the packaging material used by the appellants, learned Senior Counsel urged that the use was in conformity with Section 30(2)(d) of the Trade Marks Act, 1999, but since in the perception of the Division Bench of this Court the issue of prominence of said trade marks on the packaging material had seeped in, what more bona-fides could the appellants show other than to immediately change the cartons to bring home the point that use of the words Toyota and Innova was for purpose of identifying that the product can be used for said motor vehicles. The appellants ensured that the words Toyota and Innova were not written in the same font as written by Toyota. The Toyota logo was never used thereafter. 18. With reference to the decisions reported as 56 (1994) DLT 304 Whirlpool Corporation v. N.R. Dongre and 2001 (21) PTC 513 (Del.) The Gillette Company v.A.K. Stationary, learned Senior Counsel argued that trans-border reputation has to be proved and cannot be assumed. Citing the authority reported as 1999 (19) PTC 755 Smithkline Beecham Plc. v. Hindustan Lever Ltd. learned Senior Counsel urged that mere evidence of brochures circulated in India were not enough to prove trans-border reputation where goods under the trade mark were not sold in India. Nature of the publication has to be seen to find out whether the consumer of the goods would ordinarily come across the publications. The reason being that as per Section 11(6)(i) of the Trade Marks Act, 1999, the knowledge or recognition of the trade marks has to be in the relevant section of the public i.e. the class of buyers of the goods. With reference to Ex.DW-1/12, being a magazine ‘Auto Car’ published in January 2004, in which products manufactured by Toyota as also products manufactured by defendants No. 1 to 3 were published, learned Senior Counsel urged that law declared by the Supreme Court in the decision reported as SCR 1963 484 Amrit Dhara v. Satya Deo Gupta required it to be held that the suit filed was not only hit by laches but there was acquiescence by Toyota in allowing appellants to build reputation of the trade mark Prius concerning their goods. Rising sales figures from the year 2006 till December 2009, noted by us in paragraph eight above, were highlighted as proof of reputation built over the years by the trade mark Prius used by the appellants. It was urged that whereas Toyota's application for registration of the trade mark Prius was still pending, the appellants had obtained a registration of trade mark Prius in the year 2001 and benefit of said registration as contemplated by Section 28 of the Trade Marks Act, 1999 would be available to the appellants. Learned Senior Counsel urged that since admittedly appellants were using the trade mark Prius since April 2001 and the suit was filed in December, 2009, i.e. after more than eight years of the mark being used, the test of likelihood of confusion had not to be applied. The test to be applied was actual confusion being proved. Learned Senior Counsel urged that neither witness of Toyota even remotely stated that they had come across customers who had told them that they had got confused. On the contrary, DW-2 and DW-3 who are traders in the market selling auto parts categorically stated that they never came across any customer who got confused with goods sold by the appellants under the name Prius with the Prius Automobile manufactured by Toyota. Conceding that if nature of the goods is similar, class of buyers is the same and the trade channel is the same, the Court has to be more circumspect while deciding confusion, learned Senior Counsel argued that in the instant case the issue was whether Toyota had acquired trans-border reputation for it's trade mark Prius as of April 2001 when the appellants adopted the said trade mark, and therefore nothing turned on the triple identity test. Lastly, learned Senior Counsel urged that witness of Toyota (Mr. Takao Inove PW-1) had admitted during cross-examination (Questions 33 to 35) that in the year 2009 and 2010 Toyota had to recall Prius cars sold in US, China and Japan. To the suggestion that even in the year 2006 Toyota had to recall Prius cars, the witness did not deny the suggestion and neither affirmed the same, on the plea that he did not remember. “Q. No. 117 You have stated in your affidavit paragraph-3 that this was your first joint venture with Sandeep Verma and you wanted to pioneer in chrome plated accessories. This is the reason given by you for having chosen Pehla Prayas. Why did you not chose the expression Pehla Prayas as your trade mark? Ans. Since this was our first effort or Pehla Prayas in the field of manufacturing and the idea of manufacturing add-on chrome plated accessories was well ahead of that time as nobody else was manufacturing these types of accessories for the After Market so we looked for a word which is stylish, catchy and at the same time portrayed our above intention. That is the reason we did not chose Pehla Prayas as our trade mark. Q. No. 118 Please see paragraph 15 of the written statement where you have stated that you were the first in India to manufacture add-on chrome plated accessories and this is the reason given by you to chose the word Prayas. You have further stated that being your first attempt the expression became Pehla Prayas. Is the reason for not choosing Pehla Prayas as a trade mark the same as given in answer to question 117? Ans. I had already given the answer to question 117 that we were looking for a stylish, catchy word and this is the main reason for not choosing Pehla Prayas as trade mark. Q. No. 119 Are the words Pehla Prayas not stylish and catchy? Q. No. 120 Why not? Ans. It's our own perception. Q. No. 121 Is it correct that you then underwent a series of steps before hitting upon the word “Prius” namely you dropped the word Pehla and looked up an English dictionary to hunt for words which were similar sounding to Prayas. Is this not what you did? Ans. We only searched the appropriate word in the dictionaries, which suitably portrayed our intention that we were the first and the pioneer of add-on chrome plated accessories. Q. No. 122 Why did you not originally chose a word in English language rather than Pehla Prayas and thereafter why did you find the need to drop the word Pehla when the concept of “first” is most important to your explanation and finally how did you locate a word like Prius while looking for Prayas in an English dictionary to finally settle for a Latin word. Please explain the methodology? Ans. Since we had started our business in 2001 so at that time we had no knowledge of choosing the brand name, so we searched the dictionaries to choose an English word and found the word “Prius”. Q. No. 123 You finished your college in 1996 and started your business in 2001. In between “Prius” was launched by the plaintiff in Japan as the world's first hybrid car. The publicity of this launch was global including vast number of publications in India. Are you saying that you never came across the word “Prius” or never heard of the world's first Hybrid car Prius before 2001? Ans. Yes. I was not aware about Hybrid car Prius. Ans. Extracts shown to me does not show the magazine name from which it has been taken. Q. No. 126 So according to you, you selected the word Prius by thinking in Hindi translating in English and choosing in Latin being totally oblivious of a world movement on environment although you and your partner's father were in the automobile industry? 20. The fifth contention urged was that the triple identity test being fulfilled in the instant case, a very strong case against the appellants for grant of injunction was made out. The triple test being: identity in the goods (motor vehicles and spare parts in relation thereto); goods sold in the same market; and the class of buyers being the same. The sixth argument was that where dishonesty in adoption of a well-known trade mark was established, principles of equity which afford a protection in the form of acquiescence or waiver in favour of the offender, would not be applicable. The seventh argument was that the appellants cannot invoke the benefit of Section 28(3) of the Trade Marks Act, 1999, because the statutory provision comes into play when both parties are bona-fide registered proprietors of a trade mark and neither can sue the other, but each can sue third parties. The adoption in the instant case not being bona-fide and honest, learned counsel urged that the protection envisaged by the Section would not be available to the appellants. Regarding the argument that witness of Toyota admitted that in different years Prius Automobile sold by Toyota had to be recalled, learned counsel urged that from that it could not be inferred that Prius had not acquired a reputation. It only establishes responsiveness of the company towards its consumers. 22. The arguments of the parties concerning launching of Prius being news as the same was a global event; trans-border reputation acquired by the brand Prius and therefore the same being to the knowledge of defendants No. 1 and 2; and dishonest appropriation by defendants No. 1 and 2 of the trade mark Prius have intertwined facts and the discussion must also embrace the defence of honest adoption of the trade mark Prius claimed by the appellants. The argument of the appellants that since they were using the trade mark Prius since April 2001 and the suit for injunction was filed in December 2010, the issue had to be decided not with reference to the likelihood of confusion but actual confusion to be proved, requires appreciation of facts which would be intertwined with the facts concerning trans-border reputation and the defence of honest adoption by the appellants. It is trite that if it is proved by the plaintiff that its trade mark was well known in the market the Court would assume that those in the trade were aware of the same and any adoption of the trade mark would obviously be dishonest. What is dishonest can never be honest. 23. The principles of trans-border reputation are well recognized and we do not intend to make a catalogue of various judgments dealing with trans-border reputation. Before the era of the internet the judgments were to the effect that where a product is sold in India and sales figures coupled with money spent on advertisements show acceptability of the product in the market, this would be good evidence of the product having acquired a reputation through its trade mark. Concerning trans-border reputation, the judgments were to the effect that if the product is not sold in India but information relatable thereto is available in the print media and especially magazines purchased by consumers having an interest in the particular category of goods, it would be good evidence of trans-border reputation having entered in the municipal jurisdiction of India. Post-internet era the law of trans-border reputation expanded because the internet virtually broke down the domestic walls in areas of trade and business. On the internet, through search engines one can access information put on the website, be it by the manufacturer of the goods or in e-journals and e-magazines. 24. The learned Single Judge has discussed the evidence on the issue of trans-border reputation by ignoring one vital fact. The same being that the appellants started using the trade mark Prius in April 2001 and also included the word in the trading name of defendant No. 3 partnership firm. Thus, trans-border reputation having been acquired by Toyota in the trade mark Prius had to be determined as of April 2001 and evidence post-April 2001 had to be ignored. We therefore take corrective action and have a re-look at the evidence led. 25. Acquiring trans-border reputation is essentially a question of fact and therefore it requires the evidence to be considered. 26. The word Prius is concededly a Latin word and means ‘coming before’.Ex.PW-1/22 and Ex.PW-1/23 are proof thereof. The Oxford English Dictionary, Second Edition, Volume-XII, published in the year 1989 shows that if not earlier, at least in the year 1989 the word had found acceptability in the English language and was entered in the dictionary with the meaning ‘prior’, ‘former’ and ‘earlier’. That Ex.PW-1/22 and Ex.PW-1/23 also show the word as a source indicator of a hybrid motor vehicle would be irrelevant to determine the fact: Whether the trade mark Prius had acquired a global reputation which had permeated into the territory of India, for the reason the two exhibits do not show the year of the publication of Encyclopaedia Britannica from which the two pages have been downloaded. We take judicial notice of the fact that in the late 1970s concerns by environmentalists of global warming had started ringing the warning bells. By this time fuel consumption globally had drastically arisen and how to control carbon had become a matter of concern. With the advancement of technology, new and better machines which were energy efficient had started entering the market by mid 1980s. That fossil fuels emit carbon dioxide which is a green house gas is well-known. Since motor vehicles, apart from electricity generating plants, consume a lot of fossil fuels, environmental concerns were felt in the industry and an endeavour was made to develop technology where motor vehicles could be run without a fossil fuel as the source of energy i.e. electrical cars or fuel efficient hybrid cars, where the idle power generated by the engine while running on fuel would be stored in a battery and the electric energy stored would be used at some point of time when the vehicle plied. Appellants do not refute that in the year 1997, Toyota marketed the first hybrid car under the trade mark Prius. That the launching of the car was widely reported in the press is established by Ex.PW-2/11 Economic Times, 1997, Ex.PW-2/12 Economic Times, 1997, Ex.PW-2/10 Business Line, 2000, Ex.PW2/18 Express India, 2000, Ex.DW-1/A Auto India, 1997, Ex.DW-1/B Business Line, 1998, Ex.DW-1/P7 National Geographic, 2000, Ex.DW-1/P8 National Geographic, 2000, Ex.PW-1/49 Article - Business Week, 1998, Ex.PW1/49 Article - Business Week, 1998, Ex.PW-1/49 Article - Bloomberg Business Week, 1998, Ex.PW-1/49 Article - Telegraph, 2000, Ex.PW-1/49 Article-New York Times, 2000, Ex.PW1/49 Article - Washington Post, 2000, Ex.PW-1/49 Article - Washington Post, 2000. It is not relevant that many of the articles and publications have not been proved to be available in India, because at base is the limited issue which we are discussing: Whether the launching of the car was widely reported in the press. These articles and publications, six of which are in India, surely establish that even the media in India widely reported about a hybrid car by the name of Prius being sold in the Japanese market in the year 1997. It has also to be kept in mind that the suit was filed by Toyota in the year 2009 and it would be very difficult to lays ones hand on all newspapers and journals which reported the event in the year 1997. With passage of time, it becomes difficult to secure evidence. But the exhibits we have just referred to hereinabove are proof of the hybrid car launch being discussed in the print media. It therefore becomes irrelevant whether the newspapers, weeklies, by-weeklies or monthly magazines published abroad, which have been exhibited were or were not available in India. These publications are relevant to prove the event being reported in the press world over. 27. An event becoming news needs to be considered a little deeper. The nature of the event is important. For example, a devastating earthquake in a foreign country where thousands die and loss of property is in millions of rupees would be reported on the first page of newspapers with bold headlines drawing the attention of the reader to the news report. The event would be in the electronic media as well. Such events, as news would therefore be in the knowledge of all members of the country where the news event is published through the print and the electronic media. A Court would be justified in taking judicial notice of the events to attribute knowledge to the public. But the event may not be of such public concern or interest so as to warrant its publication on the front page of newspapers, much less with bold headlines to attract the attention of the reader. These events would be published on a particular page of a newspaper. For example a matter relating to business or trade would be published on the page of a newspaper devoted to business or trade. The reason is obvious. The publisher is aware of the category of readers subscribing to the publication and therefore we find particular categories of news compiled and published in a particular set of pages of publications and a different category of news in different pages. The publishers know that those having interest in a particular subject would certainly read those relevant pages of the publication. A mere look at any daily newspaper establishes this. Everybody does not read everything which is published in print media. Just as, one does not watch everything which is broadcast. Depending upon ones tastes, likings and interests one reads and watches. 28. In this backdrop we consider the evidence relied upon by Toyota concerning acquisition of trans-border reputation, and knowledge of defendants No. 1 and 2 of a hybrid car sold under the trade mark Prius by it in the year 1997 when they set up a manufacturing unit of auto parts in the year 2001. As discussed above, the first evidence is of the event being news and reported in the print media. But the publication in the print media is not of the kind, while reporting the news, as would be akin to the example of an earthquake which we have given above. Ex.PW-2/11 is an extract from the issue of Economic Times dated March 27, 1997. Since the full newspaper has not been exhibited, we do not know the page which has been exhibited. 31. Suffice it to note that the news item relates to a possible spurt in the metal industry due to commercial viability of green vehicles and names three motor vehicles. The news article is not of an explosive kind as argued by Sh. Pravin Anand of conveying to the public a notorious fact of history which would be picked up and read by all and sundry. Ex.PW-2/17 is an article published on September 23, 2002 in THE HINDU. Being post-April 2001, we ignore it. Ex.PW-2/18 is a computer printout from the website of The Indian Express proving that on July 21, 2000, a contributory article authored by Kathryn Kranhold was published under the title ‘Toyota Unveils Ad Campaign Touting its new hybrid car’ in the United States of America and refers to various magazines in which Toyota advertised the hybrid Prius car in the United States of America. Though published in a newspaper, the publication is in the nature of an article written and thus the weight of its evidentiary worth in the context of an explosive news on a fact of history being made known to the public would be minimal. Ex.DW-2/P7 is an article put online in the year 1998 in the United States of America when internet penetration in India was low. 32. Therefore, the weight of the evidence led by Toyota would be that it has simply established that when it launched the hybrid car Prius in the market in Japan in 1997, the event was reported as a news item in different countries including India but not with such prominence that the public at large became aware of the same. The law on trans-border reputation requires two facts to be established. The first is reputation in foreign jurisdictions of the trade mark. The second is knowledge of the trade mark due to its reputation abroad in a domestic jurisdiction. The reason being a trade mark is territorial in its operation. If its reputation spills over beyond the territories of its operation the benefit thereof can be claimed in an action of passing off. The corollary of the finding that newspaper reporting of the event of Prius car launched in Japan in the year 1997, and further sales in the year 1998 and 1999 being not with much prominence would be that the knowledge would be limited to the class of persons associated with the trade in automobiles. The trade mark has to build a reputation in the form of public confidence in the goods and therefore the association of the mark with the source of the goods. Toyota has led no evidence of money spent in advertisements in India of the Prius car before it was sold for the first time in India in the year 2010. By the year 2000, only 52200 motor vehicles under the trade mark Prius had been sold globally and we have evidence of re-call of the cars in the years 2009 and 2010 in the form of admission made by PW-1. He did not deny the suggestion that even in the year 2006 Toyota had to re-call Prius cars. He neither admitted the suggestion. He said he does not remember. Albeit post-2001, said evidence would be proof that Prius cars were having problems and one can infer public confidence in the car not rooted firmly. If not shaky, the confidence would be of a wavering kind. Notwithstanding of little weightage, said evidence has to be put in the scale of evidence while deciding on the issue of reputation. No sales being made in India. There being no advertisements published by Toyota for its car Prius in India and coupled with the fact that not all cars marketed under different trade marks by Toyota acquire a global reputation and much less in India, internet penetration as of the year 2001, being low in India, the weight of the evidence leans in favour of the view that by April 2001 Toyota had not established a global reputation in its trade mark Prius which had entered India. 33. There is another limb to this issue. Issues of trans-border reputation or likelihood of confusion decided in various cases cited before us and even in cases not cited arose before the Court either in quia timet actions or when the defendants had just entered the market. At that point of time, the issue could obviously be decided on the test of likelihood of confusion and we find that most of the judgments are dealing with the issue at the stage of injunction where documents filed by the parties had yet to translate into evidence and witnesses were yet to be examined. 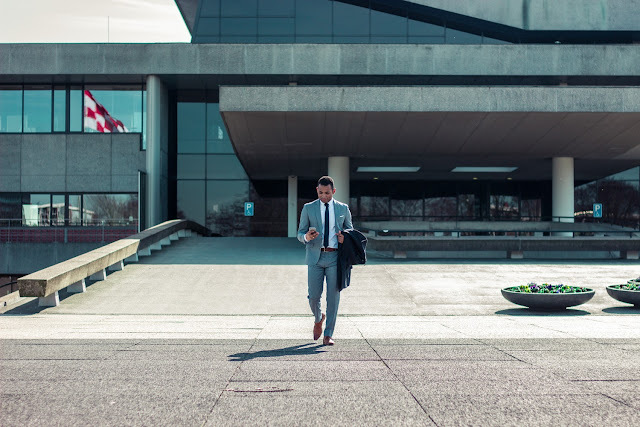 In such situation, the only way in which the issue of an injunction pending adjudication in the suit can be decided is on the touchstone of likelihood of confusion. But in a case of the kind at hand where the appellants had been selling the goods under the offending trade mark for nearly ten years when the suit for injunction was filed, there must be evidence of actual confusion. Toyota is a big company. It has had a presence in India for over two decades when the suit was filed. It was well entrenched in the Indian market in the year 2001. Obviously no consumer of Toyota car or buyer of an auto part sold by Toyota was ever confused by the appellants selling their products under the trade mark Prius, for if this was so, in ten years somebody would have complained to Toyota or at least would have made known said fact to Toyota. May be of little weightage, Ex.DW-1/12 is a publication published in the year 2004 titled ‘Auto Car’ in which advertisements of Toyota and that of the appellants have been published and surely the publicity department of Toyota which had gotten the publication of the advertisements done would have received a copy of the publication and would have known that under the trade mark Prius the appellants are selling auto parts. The evidentiary worth would be that probably the employees of Toyota in India were themselves not aware of Toyota selling a hybrid car by the name Prius. 34. The argument that dishonesty of the appellants is writ large from the fact that they brazenly infringed Toyota's registered trade mark Toyota, Innova and the Toyota logo, overlooks the fact that the appellants had been selling auto parts under the trade mark Prius since April 2001, and till December 2009 when the suit was filed there was a constant rise in the sales figures which by December 2009 would be around Rs. 4.5 crores for the period 2006 till December 2009. The auto parts were packed in cartons bearing the trade mark Prius, and as per the appellants, in conformity with Section 30(2)(d) of the Trade Marks Act, 1999, they were entitled to inform the consumer that the auto part was adapted for use in a particular brand of Toyota car. Therefore, they indicated the same by using the word Toyota and Innova in the packaging material, not as a trade mark but because of it being reasonably necessary to indicate that the goods so adapted are compatible for the Toyota motor vehicles. The only fault found by the Division Bench was to the manner in which this was indicated and it is the case of the appellants that they have complied with the order dated August 10, 2010, passed by the Division Bench, which has been transposed in the impugned judgment while passing a decree for injunction with a condition imposed; the condition being by way of permitting the use of the words Toyota and Innova in the packaging material in terms of the judgment of the Division Bench. It is possible that manner of representation to write that the goods are compatible may appear to one as a trade mark use and to another as a non-trade mark use. This would not be evidence of dishonesty. That apart, this line of reasoning adopted by Toyota is an ancillary line of reasoning and not the main plank. It is intended to support the main plea of dishonesty in adoption sought to be proved through trans-border reputation and lack of credibility in the justification given by the appellants as to how defendants No. 1 and 2 adopted the trade mark Prius motivated by the words ‘Pehla Prayas’. 35. Nothing turns on the fact that the nature of goods is the same, the class of buyers is the same and the trade channel is the same for the reason the appellants are the registered proprietors of the trade mark Prius in India. 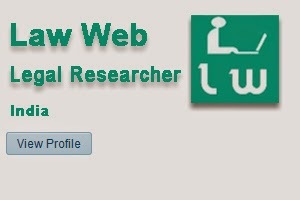 Registration was obtained by them in the year 2001. The registration subsists. Rectification proceedings are still pending. Toyota has failed to establish trans-border reputation of its trade mark Prius in India when appellants adopted the same. We have found credibility in the justification given by the appellants as to how they adopted the word prius which was publici juris in the year 2001. 36. That Sh. Prem Kumar, father of defendant No. 2, was in the business of auto parts for ten years as of April 2001 has been admitted by defendant No. 1 during cross-examination. He has also admitted the fact that he and defendant No. 2 took financial help and guidance in setting up the business of manufacturing auto parts from him. From the two facts, the first, of Prius cars having been sold in Japan in 1997 followed by sales in other countries and by the year 2000, 52200 Prius brand motor vehicles having been sold globally, and the second, being Sh. Prem Kumar being in the trade of auto parts for ten years as of April 2001, one can draw an inference of a fact: That Sh. Prem Kumar had knowledge of Prius cars being manufactured by Toyota and sold abroad. But the fact in issue is not whether Sh. Prem Kumar had knowledge. The fact in dispute is whether defendants No. 1 and 2 had the knowledge. Toyota attributes knowledge to defendants No. 1 and 2 on the logic of the reasoning: Defendants No. 1 and 2 admit having taken advice from Sh. Prem Kumar when they set up defendant No. 3 and since Sh. Prem Kumar had knowledge of Prius cars he must have passed on said knowledge to defendants No. 1 and 2. The reasoning is obviously based on what is known as presumptive logic. Akin to a motive in a case of murder being treated as a relevant fact on the presumption that because there was a motive the accused did the offending act. But it is settled law that presumptive logic is always a weak logic in comparison to analytical or deductive logic. It would not be out of place to record that with respect to admission made by defendant No. 1 that he and defendant No. 2 took financial help and guidance from Sh. Prem Kumar when they constituted the partnership firm defendant No. 3, no questions have been put by Toyota as to on what matters of business guidance was taken. There is no suggestion made that guidance was taken from Sh. Prem Kumar on what trade mark should be adopted by defendants No. 1 and 2. Meaning thereby, there is not even a suggestion given to defendant No. 1 that Sh. Prem Kumar either advised them to adopt the trade mark Prius or that defendants No. 1 and 2 told Sh. Prem Kumar that they would be carrying on business of manufacture and sale of auto parts under the trade mark Prius. The next line of independent reasoning by Toyota is that the testimony of DW-1 lacks credibility for the justification given by the appellants as to how they chose the trade mark Prius for auto parts. The arguments advanced by learned counsel Sh. Pravin Anand have been noted by us at point No. (iv) of para 19 above. We do not repeat the same. We have reproduced the questions and answers thereto from question No. 117 to 126 when DW-1 was cross-examined. We do not find any inconsistency or lack of credibility in the testimony of DW-1. 38. The justification is logical. Thinking in ones mother tongue, a first pioneering venture by a person would obviously be thought of as ‘Pehla Prayas’. Meaning ‘first attempt’. The attempt pleaded is to manufacture add-on chrome plated accessories. The fallacy in the argument of learned counsel for Toyota is to treat the justification as if it is pleaded that this was the first business venture. The foundation of the argument is the somewhat loose words used by the witness in answering question No. 117, in that, the witness answered question No. 117 stating ‘Since this was our first effort or Pehla Prayas in the field of manufacturing and the idea of manufacturing add-on chrome plated accessories were well ahead of that time…..’ By no stretch of the imagination can one read the answer to mean that the witness gave a different reason for the motivation in his testimony vis-a-vis the pleading. The answer has to be seen in light of the question. The question has two facts rolled in the suggestion before posing the question. The two facts rolled before putting the question are to be found in the first sentence of question No. 117. It reads: ‘You have stated in your affidavit paragraph-3 that this was your first joint venture with Sandeep Verma and you wanted to pioneer in chrome plated accessories.’ The justification in the written statement is, not that it was the first (Pehla) business venture of the appellants. The justification given is that the appellants were the first in India to manufacture add-on chrome plated accessories. The word ‘Pehla’ was used in said context of the first manufacturer and not the first business venture. The word ‘Prayas’ was used as an attempt in the context of the manufacture and not the business venture. 39. If a word is publici juris and a person gives good justification as to how he appropriated a word as a trade mark, relating to the state of mind of the person, unless the testimony of the person is discredited, a Court would have no option but to accept the statement made on oath because the fact is of a kind which a person can prove by stating the truthfulness thereof on oath. And if, as in the instant case, there is proof that the word was publici juris it lends assurance to the claim. 40. Understanding the logic of the claim of the appellants would therefore be essential for if a blemish is found in the logic it would tilt the scale against the appellants and in favour of Toyota. The straight line logical reasoning is: Defendants No. 1 and 2 wanted to set up a manufacturing unit to produce add-on chrome plated accessories - this technology was being used in India for the first time (as per their belief) - Therefore Pehla. - It was an attempt: Prayas. Therefore, the concept ‘Pehla Prayas’. The concept became the motivation to find a catchy word in the English language. The English equivalent of Hindi word ‘Pehla’ is ‘First’. Pick up the dictionary and see the meaning of the word ‘First’. One reaches the word ‘Prior’. Look at synonyms of the word ‘Prior’. One reaches the word ‘Prius’. We find no blemish in the logic of the search and the reasoning. It is probable and likely. We thus have no reason to disbelieve the version made good by the testimony of defendant No. 1. 41. We accordingly allow the appeal with respect to the limited issues which were argued in the appeal concerning the trade mark Prius and set aside the decree as per para 207(i) but limited to the injunction issued relating to the trade mark Prius. Since the appellants did not challenge the injunction order, which we find is upon a condition, concerning the trade mark Toyota, the Toyota device and the trade mark Innova, said part of the injunction granted is retained. Mandatory injunction as per para 207(ii) is set aside. 42. The appeal would now be listed for arguments on the issue of damages (which would now become an academic issue unless our present decision is set aside by the Supreme Court or is recalled in review). Cross-Appeal filed by Toyota seeking enhancement of damages is listed on January 12, 2017 and therefore we direct this appeal to be listed on January 12, 2017 along with RFA(OS) 69/2012 filed by Toyota. 43. Parties shall bear their own costs all throughout.